Metabyte salutes its bright minds that innovated and developed unique solutions. Metabyte salutes its bright minds that innovated and developed unique solutions. Whether it turned into a competitive edge for a customer, sold as a Metabyte product, or spun off as an independent business, their inventions earned accolades and helped Metabyte become the company we are today. Andrei Osnovich received his M.S. Computer Science degree from Polytechnic University, Novosibirsk, Russia in 1979. 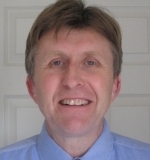 He joined Metabyte in 1994 and was involved in the development of the company’s DriveThroughTM technology, a software tool kit which provided graphics controller companies the ability to quickly implement universal accelerated 2D graphics drivers. 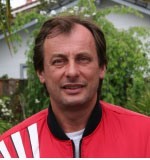 Andrei’s contributions also included the development of Metabyte’s graphics driver optimization technology, dynamic Direct3D/Graphics Device Interface run-time patching algorithms, and stereoscopic technology. When Andrei is not indulging in his passions for soccer and music, he and his wife enjoy the company of their two sons, as well as walking their Weimaraner dog named Google. 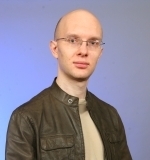 Andrei is currently a Software Architect at Nvidia Corporation. Michael Yaroslavtsev joined Metabyte in 1994 after extensive experience in his native Russia as an operating systems architect. 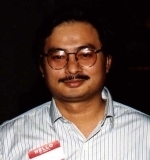 His software background included development and programming operating systems for supercomputers, as well as algorithms and programs for CAD systems. At Metabyte he excelled in the area of 3D graphics driver optimization. 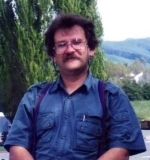 Michael is a graduate of the Precision Mechanics and Computing Technology of Russian Academy of Sciences, a leading Russian institution for supercomputer design. When he is not busy strumming a guitar, he is continuing to engineer software solutions today at Nvidia Corporation. Viatcheslav “Slava” Gostrenko originally hails from Russia where he received his M.S. in Computer Systems Software Development from the Moscow State Institute of Electronic Engineering in 1996. He ventured to the United States the following year to join Metabyte’s 3D Graphics team. It was here that he created the very first automatic stereoscopic technology for OpenGL that allowed stereoscopic viewing of regular 3D games in real-time using Metabyte’s Wicked3DTM products. An avid runner and video game enthusiast, Slava is currently a System Software Engineer at Nvidia Corporation. Labeeb Ismail joined Metabyte in 1996, and formed the interactive TV group. In 1997, Labeeb developed the concept and technology behind Metabyte’s MbTVTM technology. He filed numerous patents related to the MbTV technology and co-invented over 100 inventions. Labeeb played an integral role in the MbTV business and was promoted to Vice President of Engineering and recognized as the co-founder of the subsidiary company Metabyte Networks, Inc. 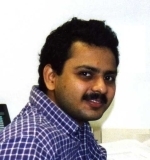 Prior to joining Metabyte, Labeeb worked as a consultant for Intel’s Server Business Unit, and did research and development work for Indian companies Wipro and TVS Electronics. He holds a B.S. degree in Computer Science and Engineering from the Regional Engineering College in Calicut, India. Labeeb continues to work in the TV technology field and is currently a Vice President at Comcast. Amar Gogoi joined Metabyte as employee number three in 1993. 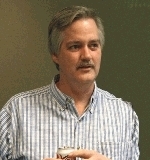 He was instrumental in helping Metabyte become a leader in the RDBMS porting and performance tuning field. After successfully learning on the job and successfully completing an assignment at Ingres, a leading RDMBS vendor at the time, he moved on to open doors for Metabyte at Sybase and Oracle. Amar grew with Metabyte to become a networking expert and was promoted to be an engineering manager. Later in 1999 through 2002, Amar played an integral role in the MbTVTM business and was promoted to Director of Engineering and recognized as the co-founder of the subsidiary company Metabyte Networks, Inc. Amar holds a M.C.A. degree from St. Stephens College in New Delhi. He is currently working at OpenTV. Richard Humpleman is a 1978 graduate of Bradford University, UK. He joined Metabyte’s MbTVTM subsidiary in 2000 where he developed an architecture that enabled broadcast content to be tagged with metadata and later retrieved using targeted search criteria. His efforts resulted in the filing of five United States Patents. 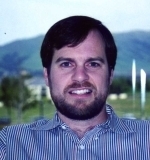 Prior to joining Metabyte, Richard worked at Samsung. Richard enjoys windsurfing, cheering on his favorite soccer team, and keeping an eye on an occasional snooker game. He continues to be active as a Software Engineer and is a proud father of two daughters. Yiming Zhou, Ph.D. joined Metabyte’s MbTVTM subsidiary in 2000. He was instrumental in the development of a personalized advertising system for MbTV’s DVR technology that provided users targeted advertising based on TV viewing habits. A native of the People’s Republic of China (PRC), Yiming originally received his B.S. in 1978 at the Electrical and Electronics Engineering at the Xian Institute of Highway in Xian, PRC. In 1984 he earned his M.S. 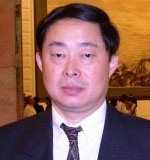 in Electronics and Computer Engineering at the Beijing University of Aeronautics and Astronautics in Beijing, PRC; and in 1991 received a Ph.D. in Artificial Intelligence (Engineering Mathematics) at the University of Bristol, England. Married with one daughter, Yiming enjoys golfing and is today a Foreign Expert/Senior IEEE Member at the School of Computer Science and Engineering at BeiHang University in Beijing, PRC. Alumni, please contact alumni@metabyte.com for questions or to provide your comments and photographs.